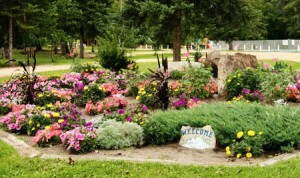 Located in a valley on the west side of town, the Gilbert Plains Centennial Park is home to the golf course, picnic area, campgrounds, wading pool and playground. The park is situated on the gentle Valley River, suitable for swimming, rafting and canoeing. In the winter, the park is popular with tobogganers and cross-country skiers. Gilbert Plains is also near Riding Mountain National Park and the Duck Mountain Provincial Park. Both parks are within a 30 minute drive, and offer further opportunities for camping, hiking, skiing, boating and fishing. Camp sites fill up quickly. Book your camp site today and ensure that you and your family have a great summer holiday in the Parkland! 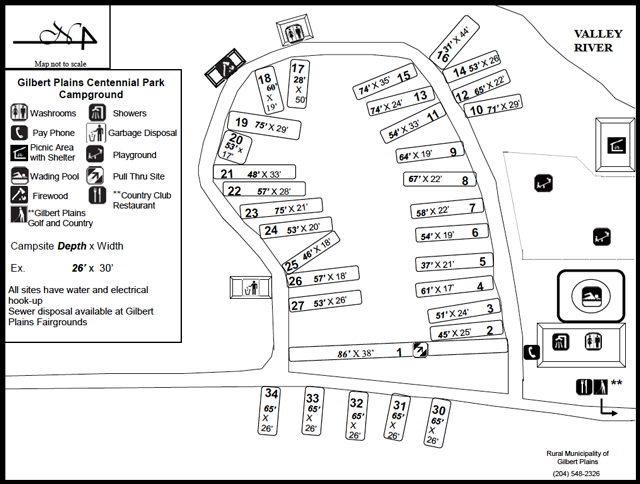 Site numbers 1-8, 17, and 30-34 are available to Daily, Weekly, or Monthly Campers. NOTE: Starred fields (*) are Required fields. Please make sure that you fill in this field of the form.